The Aqualung Rocket II fin is very popular with military and professional divers, due to its power combined with comfort. 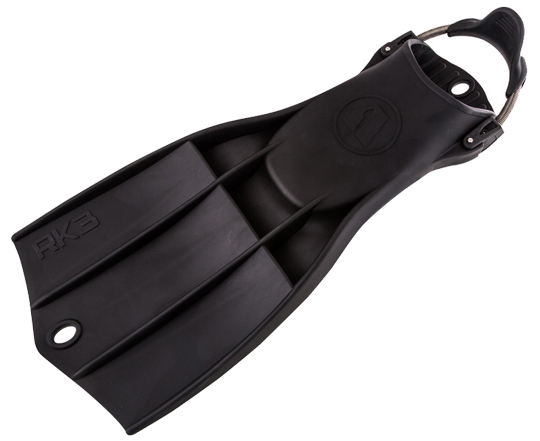 Designed in collaboration with the US military and renowned for outstanding performance and reliability, the Apeks RK3 is a rugged thermoplastic rubber fin featuring an over-sized foot pocket to accommodate drysuit boots and a spring strap for easy donning and doffing. 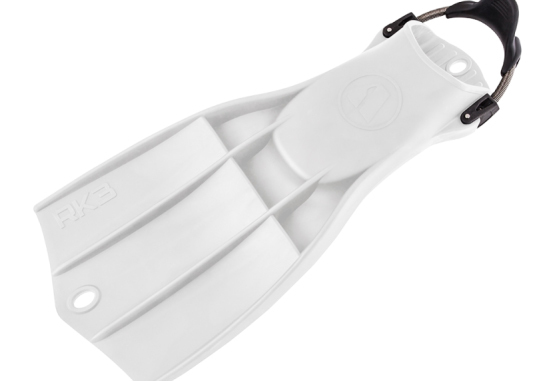 Based on one of the first vented rubber fins sold in North America and popular among military and professional divers. Compact, and ultra-rugged for use in harsh environments. Improved foot pocket with spring straps for ease of use with cold hands or thick gloves. 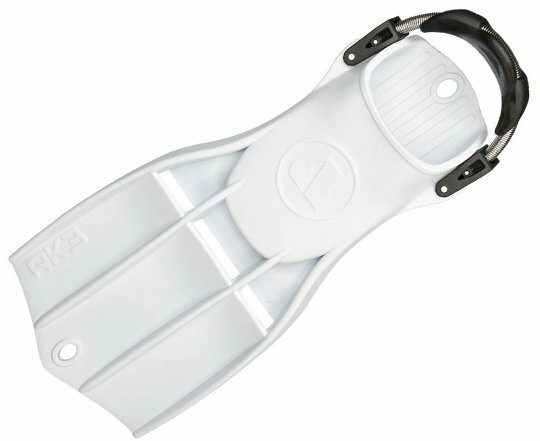 The design has been the standard gear issue fin for military, special ops, coast guard and public safety divers for decades. Short wide blade provides maximum forward thrust while maintaining great manoeuvrability. Vented blade design reduces resistance on the upstroke and enhances thrust on the downstroke. The vents also eliminate vortexes that can occur along the back of the blade much in the same way split fins eliminate the vortex. The blade material designed to hold up in the toughest environments, temperatures and abuse. Two large grommet holes designed to fit most karabiners for easy storage of the fins while accessing the dive site. Custom designed buckle holds spring straps in optimum position. Simple push pin design allows simple replacement of springs if necessary.